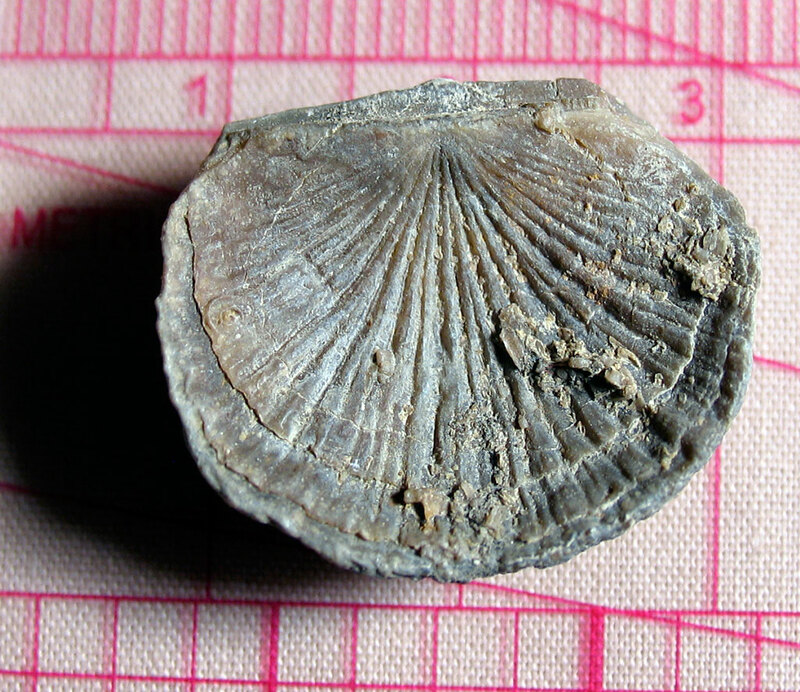 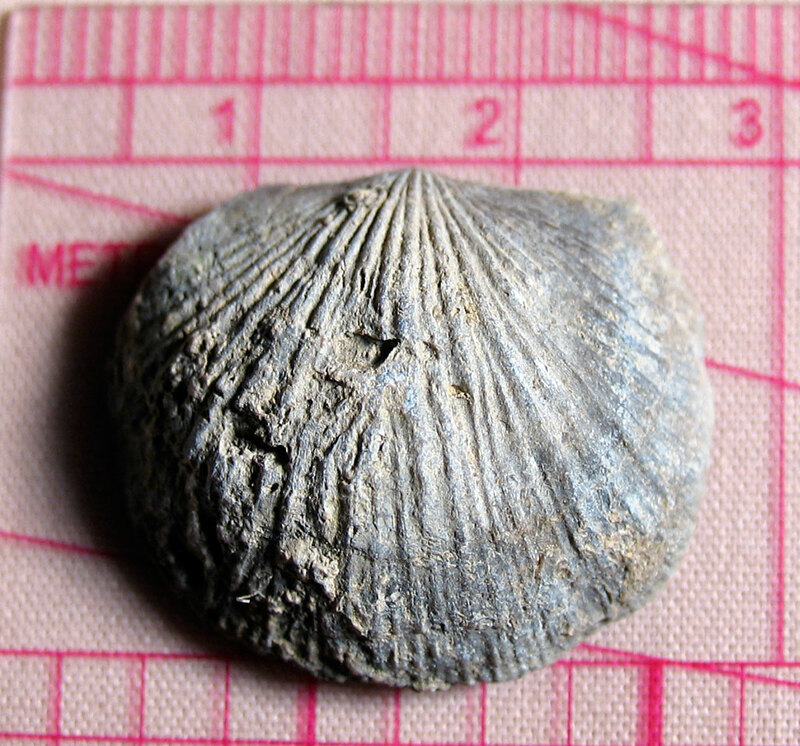 Unidentified brachiopod found in the Lexington Limestone of Franklin County, Kentucky. 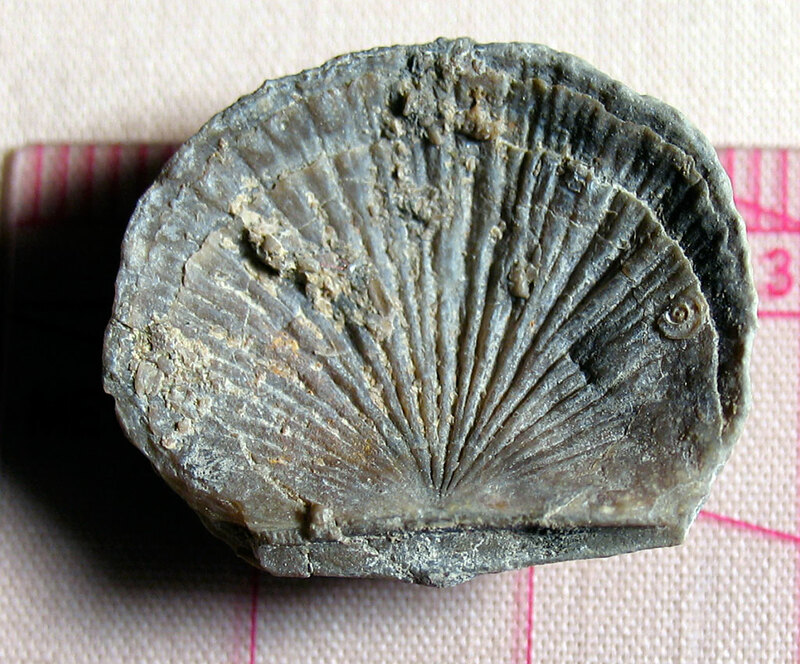 Fossil is from the Ordovician Period. 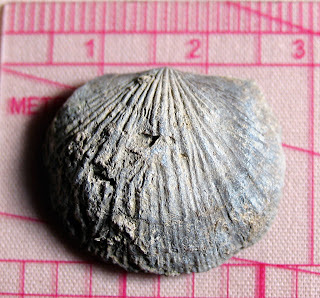 Maybe this is a flattened Glyptorthis? 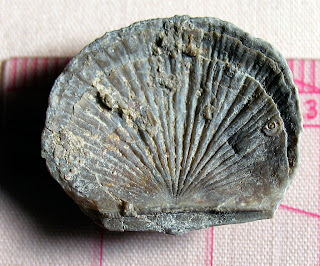 See a visual list of Ordovician Period brachiopods at the Dry Dredgers web site.